Southeast Lineman Training Center offers student loans through Sallie Mae Student Loans. 100% of Tuition, fees and living expenses are covered with the smart option loan.  SLTC is approved to certify veterans for G.I. Bill Post 9/11 benefits, which pays up to 100% of program cost and housing. Once you graduate from SLTC and enroll into an apprenticeship program you are eligible for continued VA benefits through the On-the-Job or Apprenticeship Training Program along with also receiving a salary from your employer.